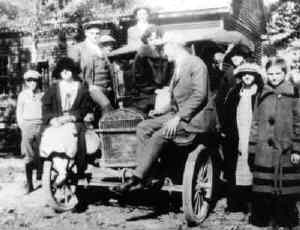 John Harry Culpepper (left front fender), son of Capos Conley. Obituary of Jay Glynn Culpepper (#23541), published 10 Oct 2010 and provided to Culpepper Connections by Chip Culpepper. 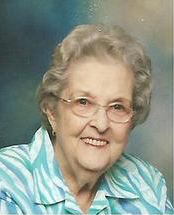 RUBY DORIS SHIRKEY CULPEPPER, 80 of Little Rock, died Saturday, Jan. 15, 2005, at UAMS Medical Center. She was born in Fairmont, Ark., (Prairie County), on August 30, 1924, a daughter of the late Roy and Celia Bell Rhoads Shirkey. Mrs. Culpepper was a devoted mother, grandmother, and a Christian. She was preceded in death by her husband, Oscar Norris Culpepper, whom she married on August 19, 1972, in Pine Bluff; one brother; and three sisters. Survivors include her daughter, Tammy Laney and her husband David of Little Rock; a brother, Lee Shirkey of Lonoke; two sisters, Betty Lynn Abbott of Cabot, Dorothy Sims of Memphis, Tenn; three grandchildren, Brittney and Ashley Allred of Little Rock, Jacob Laney of Little Rock; one great-grandson, Jason Stockman of Little Rock; two step granddaughters, Melissa Laney of North Little Rock, and Ginger Clopper and her husband Ben of Atlanta, Ga.
Obituary of Ruby Doris Shirkey Culpepper, published 19 Jan 2005. E-mail written 2000-2010 to Lew Griffin & Warren Culpepper from Michelle Marie Culpepper Harriman, 1842 Rosetree Drive, Lilburn, GA 30047, e-mail address (Nov 2010). William Nelson Turpin Ph. D.
William Nelson Turpin, 80, a retired Foreign Service officer who specialized in Soviet and Eastern European economics and international trade and finance, died July 21 of complications of a stroke at his home in Annapolis. Dr. Turpin was born in Macon, Ga., and received his undergraduate degree in English from Dartmouth College in 1943. A Rhodes scholar, he received a bachelor's degree in 1949 and a master's degree in 1954 in philosophy, politics and economics from the University of Oxford. He received a doctorate in economics from George Washington University in 1976. He was a Marine during World War II stationed in San Diego, and he served as a Japanese interpreter during the U.S. occupation of Japan. Dr. Turpin joined the Foreign Service in 1948, serving as an economics officer in Belgrade from 1953 to 1955 and in Moscow from 1956 to 1958. Other foreign posts included Munich, the Hague, Saigon and Mexico City. He moved to Washington in 1958 to work at the State Department as a specialist in communist economics. He transferred to the Treasury Department in 1961, where he served first as deputy director and later as special assistant to Treasury Secretary C. Douglas Dillon. He also was a national security affairs adviser in the Treasury Department from 1968 to 1970. From 1972 to 1974, he worked for the U.S. Information Agency, addressing audiences overseas on U.S. foreign and domestic economic policy. Between 1974 and 1985, Dr. Turpin taught economics at Appalachian State University in Boone, N.C., Queens College of Charlotte and the University of Maine at Farmington. From 1986 until 1992, he taught English, Latin and Greek at Lawrence Academy in Merry Hill, N.C.
Dr. Turpin moved to Annapolis in 1992. His first wife, Adriana deHeus, died in 1969. His second marriage, to Christine Camp, ended in divorce. His third wife, Nancy Bissell Wood, died in 1996. Macon, Bibb, Georgia; Roll: 338; Page: 3B; Enumeration District: 29; Image: 1145.0.